Today I’m delighted to welcome Anita Chapman, the genius behind neetsmarketing, an empathic and friendly business dedicated to help authors with their social media. I asked Anita to tell what authors fear most about social media and how to deal with it. Thank you for inviting me to be a guest on your blog, Alison! These are the main challenges found by my clients and course attendees, and because there’s only so much space here, I’ve kept the information in this post quite general. More specific advice, especially about using Twitter and Facebook can be found in posts on my neetsmarketing blog. When starting out on social media, some authors worry about what to go for: Twitter, Facebook, Instagram, Pinterest, Google+; there are so many options. Start with Twitter and Facebook when building your author platform, and go from there. Remember you can post the same content from all your social media accounts; if you share an article on Twitter about a theme from your novel, it takes a minute to paste that link into your author Facebook Page. In this post, I’ll refer to Twitter and Facebook when talking about social media. Authors need to produce books, so understandably using precious writing time for social media isn’t always embraced with enthusiasm. On the other hand, some authors find it difficult to tear themselves away from social media, using it as a form of procrastination. It is possible to manage time spent on social media if you schedule some tweets using Tweetdeck (my choice, but some prefer Hootsuite), such as those for cover reveals, book releases, upcoming talks and signings, book launches, blog posts; this keeps everything ticking over when you’re not there, and you can save these tweets to reuse until they’ve expired. Posts on author Facebook Pages can be scheduled too, then when you have chance to drop in to Twitter and Facebook for 20-30 minutes per day, that can be your time to chat, retweet and make your tweets less formal and more ‘you’. 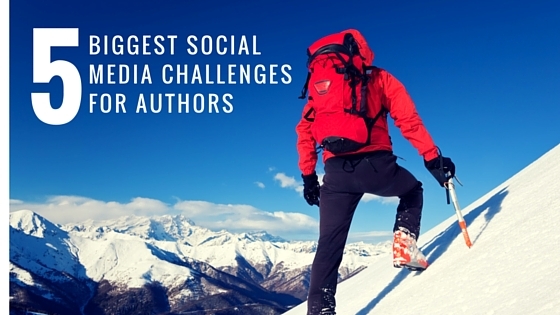 Some authors find social media overwhelming, and the best way to gain confidence on Twitter and Facebook is to set up the accounts, and get stuck in. At the beginning, when you’re learning, you don’t have many followers or Facebook friends anyway, so few people can see what you’re doing. So much can be learnt by observing your peers and idols. What are they tweeting about, what do their tweets look like? What are they posting on their Facebook Pages and on personal Facebook profiles? And who is following them, who are they following? There are some Twitter tips in this post on my blog, recently revamped for 2016: My Beginner’s Guide to Twitter for Writers. Do you feel as though you’re speaking and no one is listening? Social media can be like this early on when you don’t have many followers or Facebook friends, but also if you’re not posting content which encourages others to interact with you. Use photos to make tweets, Facebook posts, blog posts more interesting; and make blog post titles enticing. Interact with others and share content by others that fits in with your brand (see below), and they may reciprocate. I’ve linked these together, as they relate to one another. Finding your potential readers can be a challenge, but social media makes it easier than you’d think. Brand: Think about what defines you and your books, and aim to focus on those subjects and themes when posting on Twitter and Facebook. Use relevant hashtags so people interested in those subjects and themes can find you (and use other hashtags to build relationships through shared interests). This is a way to gain potential readers as followers. Discoverability: Find the places where people interested in subjects and themes from your books hang out. Join Facebook Groups, follow and use Twitter hashtags, follow and comment on blogs based around those subjects and themes. Liz Fenwick wrote a post for my blog, Using Twitter to Connect with Readers which gives great examples on how to find your potential readers using Twitter. Ask book bloggers (nicely) if they’ll review your book, and/or host you on their blogs. Ask authors to host you on their blogs too. The more content you post online, the more likely you are to come up in a Google search. 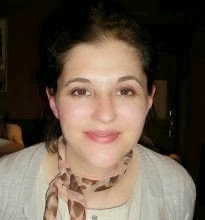 Anita Chapman is a freelance social media manager with clients in the world of books and she runs social media courses for writers (next one is on 7 May in London). She writes historical fiction set in eighteenth century Italy and spent five years on the Romantic Novelists’ Association’s New Writers’ Scheme before becoming an Associate Member in 2016 wearing her neetsmarketing hat. Anita is Social Media Manager for the Historical Novel Society, and Publicity Officer for the next HNS Conference in Oxford, 2-4 September 2016 #HNSOxford16. Connect with Anita at her neetsmarketing website, visit her neetsmarketing blog on social media for writers and book marketing and her neetswriter blog on writing. Thanks for your great insight and advice, Anita! Thanks very much for having me as a guest on your blog today, Alison and for such a lovely opening paragraph! It’s a real pleasure working with you on the HNS publicity, and always great fun when we get to see each other at ‘real life’ events too. Well, I think these are very strong points you make about social media which is essential for any author these days. And it’s a pleasure working with a a knowledgeable colleague like you!